Nutcracker Sweet Gift Baskets provides an enticing array of baskets to suit any of your needs. Whether it’s a thank you, happy birthday, sympathy, get well, celebration, baby, corporate or holiday basket, Nutcracker Sweet has got what you need. Based in Toronto with two easily-accessible locations, you can conveniently contact us over the phone, place your order online, or come in for pick-up if you prefer. The appearance of our baskets scales from very simple to very posh. We provide plain but elegant baskets or buckets, as well as flashy and fancy ones. There is something for everyone's personal taste and style, and our friendly over the phone service providers are always happy to help you choose the best basket for your specific occasion. 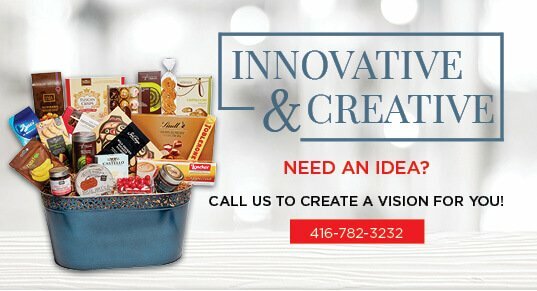 Our professional designs include a wide variety of premium quality products in all of our gift baskets. We offer different styles of decorations, a variety of food, non-edible baskets, corporate and professional baskets, and custom made baskets. We use only the highest quality of chocolates, chips, cheeses, crackers, cookies and any other type of food that you may find in our baskets. We use good-quality brand names like Godiva, Lindt, Charlie & Sam’s, Fruits and Passion, Oogaa and Bumbo just to name a few! Our corporate gift baskets are one of our signature trademarks. 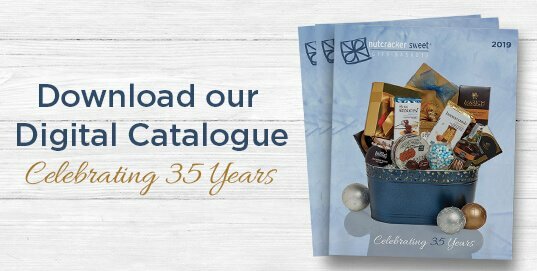 Over the years, Nutcracker Sweet has been known to provide the best corporate baskets not only to clients in Toronto, but across North America. With a wide variety of professional-looking baskets which include a mixture of high quality foods, you can feel confident that you will be satisfied with your choice – and that your clients will enjoy their baskets as well. We also provide a card where your message will be typed out professionally and attached to your basket in a spot where the recipient is sure to see it. When it comes to sympathy or get-well gift baskets, Nutcracker Sweet has everything you need. We provide gift baskets with comforting foods. Whomever you send it to will have that sense of comfort and enjoyment from the basket. We have more simple baskets and boxes, and we also provide bows and ribbons in muted colors appropriate for the occasion. Gift baskets are highly popular thank you gifts. With Nutcracker Sweet they can conveniently be delivered to whomever you want to say thank you to anywhere inside or outside of Toronto and the GTA, with additional costs according to the location. Our gift prices vary according to the contents so you can choose exactly what you feel comfortable spending. 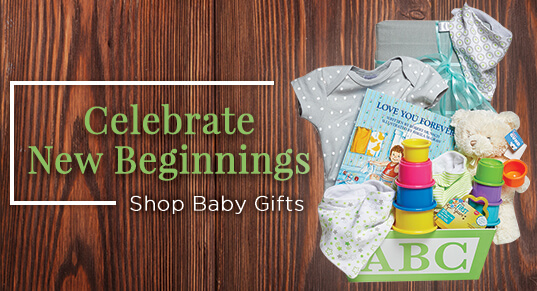 Any of our baskets are great as thank-you gifts. If you want, you can specify the colour of the bow and ribbon, as well as add some extras to help individualize your basket. And just like with the sympathy baskets, we will type out a personal card conveying the thank you message of your choice. 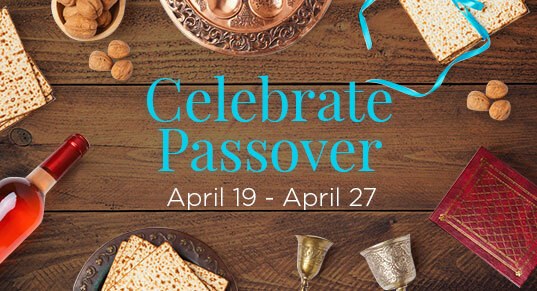 For information about our specific holiday and celebration gift baskets, please browse around the pages on our website. And remember, for whatever event or message you want to send, Nutcracker Sweet Gift Baskets will help you send it right!